Of course, drivers of smaller vehicles should also be extra cautious when sharing the road with an 18-wheeler. Otherwise minor driving mistakes, such as failing to signal before changing lanes or passing, that are otherwise a minor annoyance, can become catastrophic when a large truck is involved. While the drivers of large trucks are usually very patient and highly skilled, there are always exceptions to that, and it can lead to disaster, primarily because of their size and weight. What Causes Truck Accidents In Texas? There are actually many reasons why truck accidents occur in Texas; the above are only a few, although reckless driving caused by any or all of them is cited as the number one reason for accidents involving large trucks around the country, as well as in the state of Texas. Another very common reason why trucks are involved in so many accidents has to do with distracted driving. While it’s always been a problem, with drivers often engaging in eating and drinking, grooming themselves and talking to others on CB radios, the problem has become worse in recent years, with the advent of handheld electronic gadgets, especially GPS devices and cell phones, which they sometimes use to talk, other times to text. Keep in mind, they are doing this stuff while guiding a trailer that may be carrying a load of as much as 35-40 tons down a public highway at 70-80 miles per hour. Another very significant problem that leads to many truck accidents has to do with driver fatigue, which is usually caused by many long hours on the road driving alone. The federal government has tried to curb the problem by establishing ever-more stringent “hours of service” (HOS) rules, which are intended to regulate the number of hours a truck driver may drive on the road without a break, but it’s not uncommon for drivers to simply ignore those rules, often with a wink and a nod from their trucking company. Even though truck drivers are required to undergo and pass regular physicals and are also subject to random drug screens, the problem of impaired driving is still am major problem on Texas roadways. The problem isn’t just alcohol; the use of drugs, both illegal and prescribed, is becoming a significant problem among truck drivers, as they become ever more desperate to find any way they can to stay awake and get their load to its destination. Are truck accidents usually worse than other traffic accidents? Because large trucks are much more massive and carry a lot more weight, truck accidents are often more destructive than accidents with other vehicles. Also, because of this massive size and weight, they need a much longer distance to stop and they are harder to control. Also, many large trucks carry hazardous materials, which can increase the danger to other drivers in an accident. If I am injured in a truck accident, what may I be able to recover? The victim of a serious truck accident may be entitled to adequate financial compensation for any property damage they suffer, as well as all medical expenses related to the accident for as long as they need it, including the need for rehabilitation, physical therapy, and pain management costs for life, if necessary. They may be able to recover for lost income, both current and future and pain and suffering. In many cases, if you have lost a loved one, you may be able to receive financial compensation for lost companionship, lost financial support, and other costs for yourself and the entire family. Do accidents involving large trucks result in larger settlements? The driver of a big rig or other commercial vehicle is a professional driver who is required to undergo specific training to obtain and keep a Commercial Driver’s License and who is required to follow certain federal and Texas regulations at all times, including those limiting the number of hours they are allowed to drive and other minimum standards of conduct when it comes to operating a vehicle on Texas roadways while carrying 40 tons of goods. Other factors also tend to make truck settlements larger. Quite often, after a truck accident in which someone is injured, a thorough investigation by a competent and experienced attorney will uncover a situation in which the company responsible for hiring the driver placed profits ahead of public safety and cut corners to save money, which can make them responsible. Also, insurance policy limits for commercial vehicles tend to be much higher than the $30,000 Texas minimum coverage that applies to passenger car insurance, which means there is more money available to fairly compensate a victim. Quite often, insurance companies will give the victim of a truck accident assurances that they will take responsibility for the accident, but everyone should know that it is the nature of their business to pay out as little as possible on every claim. They will try to cut a check for as little as they can get away with, regardless of the level of your injury and once you accept the check, your case is over. There is a reason the insurance company doesn’t encourage anyone to hire a lawyer; accident victims with lawyers recover far more compensation than those without one. How soon do I need an attorney? In many Texas truck accident cases, it can be extremely important to begin a thorough investigation as soon as possible, in order to obtain and preserve potentially crucial evidence. Hiring an attorney as soon as possible is always a great idea because the first thing an experienced Texas Truck Accident Attorney will do is to begin the investigation, which is especially important, since the trucking company and their insurance carrier will be on the scene as soon as possible after the accident. If the facts of the case in any way work against the trucking company or the driver, they will seek to protect their interests as soon as possible, and you should do the same. How does a Texas Truck Accident Attorney get paid? The experienced and knowledgeable attorneys at Blizzard Law PLLC, like most such attorneys, handle Texas truck accident cases on a contingency fee basis, which means that we collect a percentage of any recovery as compensation for our time in prosecuting your case. That means, if you get no recovery, you pay us nothing. In addition to the percentage of the recovery, we will also front any out-of-pocket expenses incurred in prosecuting the case, which can be fairly expensive. These can include the costs of experts or depositions, witness fees and court costs, and those are also taken out of the recovery at the end. If there is no recovery, we don’t get paid for those, either. Does it matter which attorney I choose to represent me? Choosing an experienced and knowledgeable Texas Truck Accident Attorney can actually make all the difference. These types of cases can be extremely complex and involve a great number of elements, and hiring an attorney who doesn’t handle these types of cases on a daily basis and hasn’t done so over the course of many years probably won’t yield the best results. Finding a highly skilled attorney who specializes in Truck Accidents can make the difference for your family’s financial future. 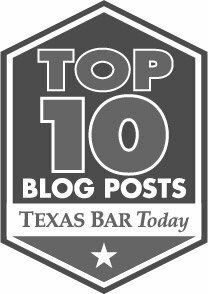 If you or someone you love have been seriously injured in an accident involving a large truck in the state of Texas, please contact the Texas truck accident attorneys at Blizzard Law PLLC, so that we can discuss your case and advise you of your options with regard to protecting your rights.